Despite being an agile software development principle, continuous integration (CI) has been applied to software testing projects on a regular basis. Most businesses nowadays simplify and speedup development process by dividing large and complex applications into smaller modules. Continuous integration requires individual developers to integrate the code written by them with the shared code repository on a daily basis. The regular code integration helps managers to collect constant feedback on the status of the project. At the same time, an automated build is used to verify the new code submitted by each user. The automated build makes it easier to get the flaws or defects in the code without any delay, and get those bugs eliminated almost instantaneously. Often programmers write and store code on their own systems. The code written by various developers are subsequently integrated before the scheduled delivery date. The testers have to assess the quality of the code only after the integration is over. Hence, the testing professionals often find in daunting to assess the quality of app code and evaluate the changes made to the code within a shorter amount of time. A business can always organize a central build server to make it easier for developers to add their code to the repository on a daily basis. Also, the central build server get the quality of test assesses through the automated build. Once the central build server is set up, the programmers can get their code compiled regularly. Also, they will start adding code to the centralized repository on a daily basis. But the central build sever does not have capability to assess the quality of the code through automated tests. It can only send alerts to the developers to convey test failure or code conflicts. The build must be automated and scheduled to verify each check-in and identify all defects in the code. The central build server can be configured to initiate software builds each time a programmer add code to the centralized code repository. Once the software builds are initialized, the testing professionals can monitor the impact of changes of made to the code base. Also, they can relate the issues or defects to specific versions of the build. Hence, it will be easier for them to identify the coding errors and defects by performing a variety of automated software QA testing. Along with performing automated tests, the testing professionals can also start processing automated code metrics. These metrics will help testers to assess the overall quality and strength of the code on a regular basis. At the same time, the testers can refer to the API document for the software created automatically to assess the quality of the code effectively, and ensure all standards and guidelines are met. Once the automated code metrics are processed, both developers and testers can implement test driven software development principles. The testers will continue with the process of code compilation, and executing automated tests. But they also need to assess the performance of the software elaborately by deploying it automatically on the server. Once the application is deployed on the server, it will become easier for testers to perform rigorous performance testing with robust tools. A business can reap a number of benefits by automating acceptance testing during initial phases of development. The acceptance test results will help the testing professionals to form an overview of both completed as well as pending items. Likewise, the testers also need to use tools to deploy the software to the testing environment automatically. The automatic deployment will make it easier for testers to evaluate different versions of the software. Also, they can generate more accurate test results by replacing new versions of the application with its older ones. Hence, all issues and flaws in each version of the application can be repaired immediately before the final release. The businesses can always use continuous integration server to keep track of the quality of code being added to the repository and identify all coding errors without any delay. 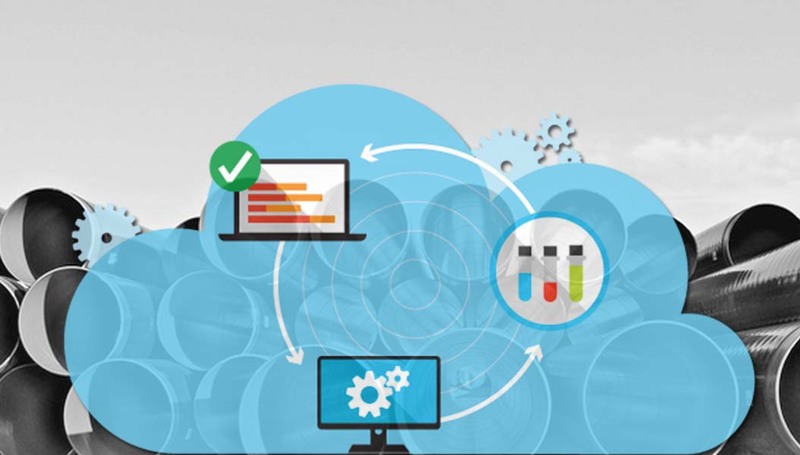 They also have option to use a number of open source continuous integration tools like Jenkins, Go, Buildbot, Strider, Travis CI and Integrity. Most of these continuous integration servers assess the quality of code consistently by performing a number of common tasks.